Louisville, KY (December 3, 2016) – Kentucky Farm Bureau (KFB) concluded its 97th annual meeting today with its board of directors approving priority issues for the 2017 legislative session. The organization’s delegates adopted policy positions at its business session on Friday. 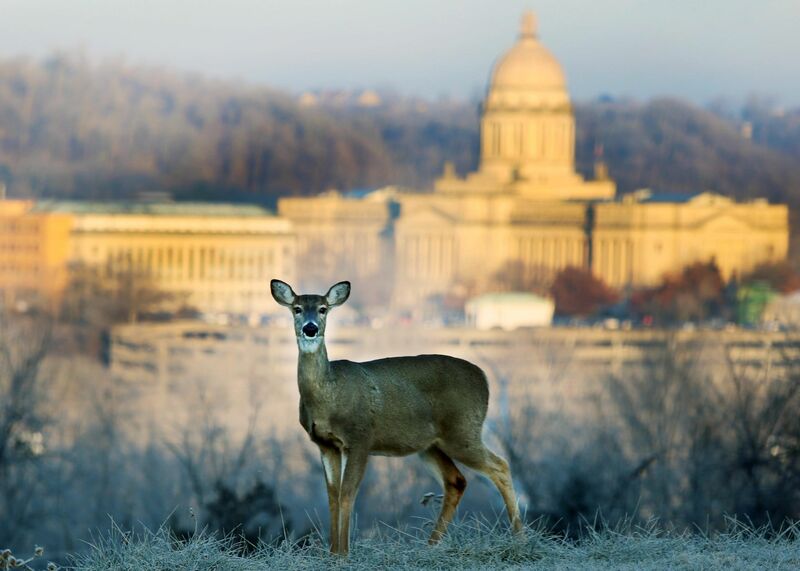 Wildlife management is one of KFB’s top priorities. Farmers across the state have long dealt with damage to crops and property caused by ever increasing wildlife populations. A priority issue seeks effective wildlife management that will reduce the wildlife population in an effort to alleviate continued crop and livestock losses, automobile accidents, human injuries, and loss of life. Another state priority issue for KFB is rural roads. Specifically, KFB supports the rural secondary and county road aid programs and continuation of the 22.2 percent allocation of the state gasoline tax revenue for rural roads. With road fund revenue declining, continuing the current road fund formula is critical to maintaining farm to market roads. On the topic of water, KFB supports the Kentucky Water Resources Board and advocates for a coordinated effort to manage water resource projects across the Commonwealth. Also on the list of state priorities is support of the current provisions of House Bill 44 (KRS 132.010), passed in 1979, which limits revenue from real property taxes to four percent plus new growth. Proposals to exceed four percent should automatically go to the voters. From a national priority perspective, KFB supports a thorough regulatory review to ensure regulations do not impose an undue economic burden on any segment of society and the regulatory process is transparent and results achievable. The 2017 national priorities also included national farm policy. Congress will soon begin discussing the 2018 Farm Bill. KFB has already begun discussions to ensure that the next farm bill will provide the necessary provisions for a strong safety net for agriculture. A component of that debate will be the development of additional water resources. In addition to setting priority issues for 2017 on the final day of the meeting, members got to hear from Kentucky 6th District Congressman Andy Barr and Senate Majority Leader Mitch McConnell, who was accompanied by his wife and the Transportation Cabinet Secretary Designee Elaine Chao. Both McConnell and Barr spoke of the positive changes expected at the national level with a new administration coming to Washington. Barr said one of the first things he thinks will come up on the agricultural agenda in the next Congress will be regulatory relief in particular water regulations. “That Waters of the United States (WOTUS) rule that you all have worried about from the EPA (Environmental Protection Agency), consider that dead on arrival,” he told members during a morning breakfast event. McConnell said on the issue of trade, the United States needs to be the best country in the world to do business. He also said there are a number of thinks he hopes the new President will be able to do immediately upon taking office.